Cushioned and with lumbar support, our blue stacking chair is a very comfortable option. The blue finish and stylish chrome frame means it looks great in smart locations, and because it can be stacked ten high, it saves on storage space. Pulling up a chair before the mid 17th Century would probably have seen you sitting down on a piece of hand-carved timber, but you wouldn’t have to wait that long for a little bit more comfort. It was around this time that chair makers had access to more luxurious materials and began experimenting with them when they focused on their art. Initially seating of most kinds was generally only found in the castles, mansions and homes owned by the aristocracy or leading figures in countries. From the 17th Century those that had the means invest in sumptuous seating could do so, but many people who owned chairs were still very rich. So, it makes sense that the designs of seating from this era were mostly put together to appeal to rulers and the aristocracy. Upholstery was definitely popular with those wanting a bit more of a deluxe seating experience, and by the 18th Century the Rococo chair had been invented and featured upholstery. As more materials, like velvet, silk and leather were included in designs, then seating became much more opulent and comfortable. As well as being designed to attract those with decadent tastes and the funds to buy these kinds of products, seating also began to appeal to the fashions of the moment and the needs of workplaces. Like with many different kinds of design, new materials can have a massive impact, and in the 20th Century manufacturers produced chairs derived from all kinds of metals and minerals. These types of substances paved the way for inventors keen to make both practical and affordable products - which is kind of how our blue conference chair was born. Although upholstery wasn’t a new idea in the 1900s, using different metals and plastics was! In 1964 a designer called David Rowland decided to put these new materials to use and concentrated on constructing a seat that could be easily stacked and was very versatile too. This culminated in his award-winning 40/4 model, which has a steel frame and upholstered seat and seat back, much like our conference chair. 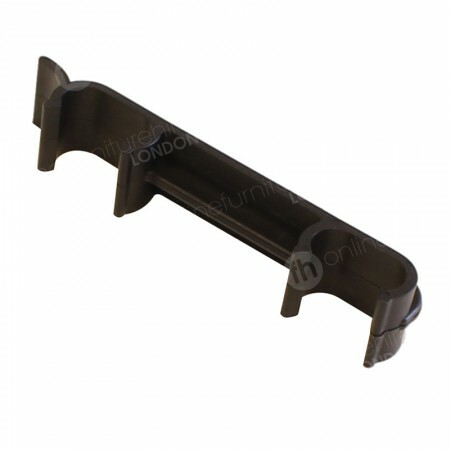 The older model became a real hit when it was released especially in public buildings, offices and conferences, where lighter, stackable and comfortable seating was required. Many of the features that made this kind of seat successful in the 60s also make it a hit in the 21st Century. 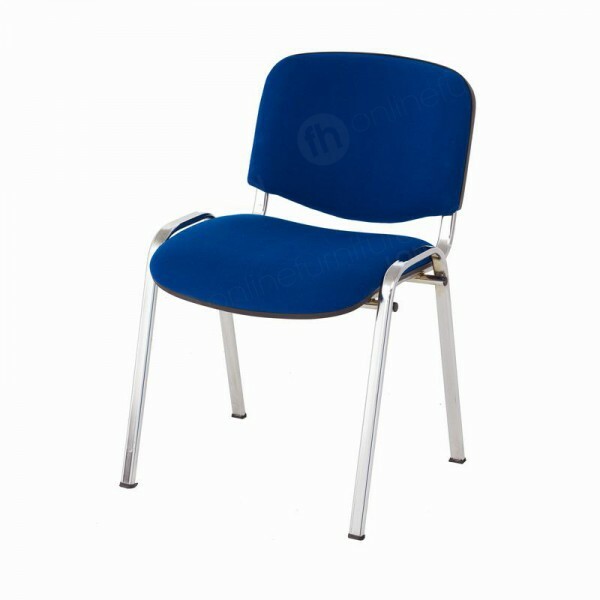 For example our innovative blue conference chair is highly comfortable and features top grade upholstery, in addition to lumbar support - so those using these products can really relax. Comfort is a crucial factor for seating, especially when you’re arranging functions that may last a significant length of time. Delegates, students and guests to your occasion will be able to concentrate and enjoy seminars, conferences and meetings much more when they are feeling comfortable. Stackability - never goes out of fashion! Another similar feature that has also inspired the 21st Century design of our conference chair is the fact it stacks. This is down to the tubular steel frame, which is created in such a way that chairs can be easily placed on top of one another - they stack ten high for storage! 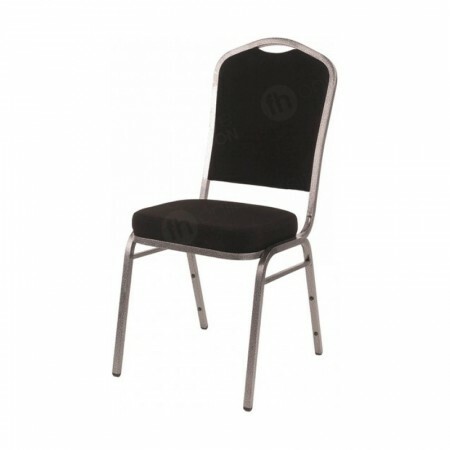 Because of the tubular steel, our chairs are very light to maneuver in this way, and they can also be loaded on to wheel trolleys and moved throughout locations to your venue hall with ease. Our very modern-day stacking chair hire range includes all these important attributes and many others too. It’s appearance for example, is very stylish and chic, and the smart blue finish means it’s a great option for corporate or business functions, where you not only want guests to be comfortable but for venues to look fantastic too. You're also able to choose our black stacking chair as well, in addition to folding tables and desks for meetings, conferences, exhibitions and education premises. It’s important my venue looks really smart - are these the chairs for me? We definitely think so! The smart appearance of our blue conference chairs are one of it’s standout features. The chrome frame and blue seat look fantastic in many corporate and classy locations. Will your blue stacking chairs be comfortable enough for long events? Comfort is a key benefit to our entire stacking range because both our blue and black models offer deep cushioning and lumbar support. More visitors are expected to our function than expected - what should I do? Simply get in touch with us and we’ll deliver more seating to your venue, the same- or next day! We have a large space for our event, can you help us install the seating? Yes. We have in-house CAD experts to assist you in planning your furniture hire needs, and our transport team is also available to help you set up seating and other items you order from us.